Blocked or broken Guttering and Downspouts not only look messy, but it is one of the most common factors when dealing with damp. Not only can it seriously damage your properties health, but also your wallet if remedial action is not taken as soon as possible. Damp patches on interior walls is a very common issue as is loose rendering on exterior walls. The guttering itself can become bent and miss shaped leaving troughs. Rainwater overflows cascading down your walls leading to expensive repair bills. The blocked gutter may in turn become so heavy that it or the downspout will pull away from its fixings. The good news is, regular maintenance of the guttering will not only allow the water to flow away it will also prevent costly water damage. 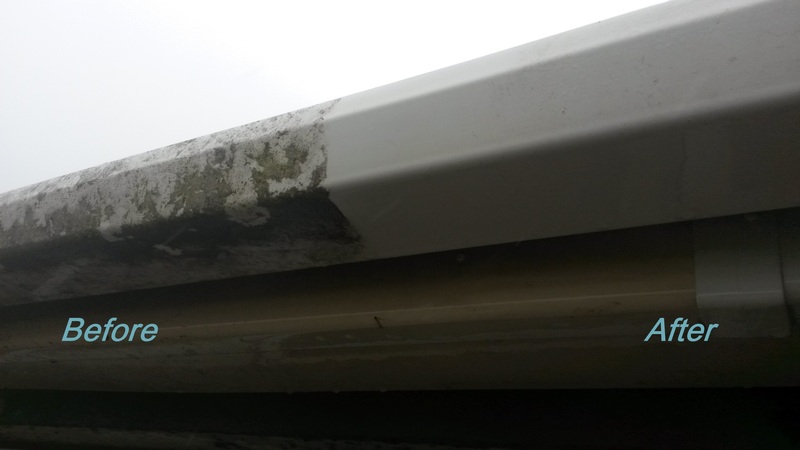 Whilst we are there we can also clear any blockages or clean any discolouration from the guttering and downspouts to give it an ‘as new’ look. This will improve the look of your residential or commercial property! Why not have your conservatory cleaned whilst we are cleaning your gutters and fascias. It is cheaper than you may think when combined as an add on service and it will give it an ‘as new’ look whilst extending it’s life span. 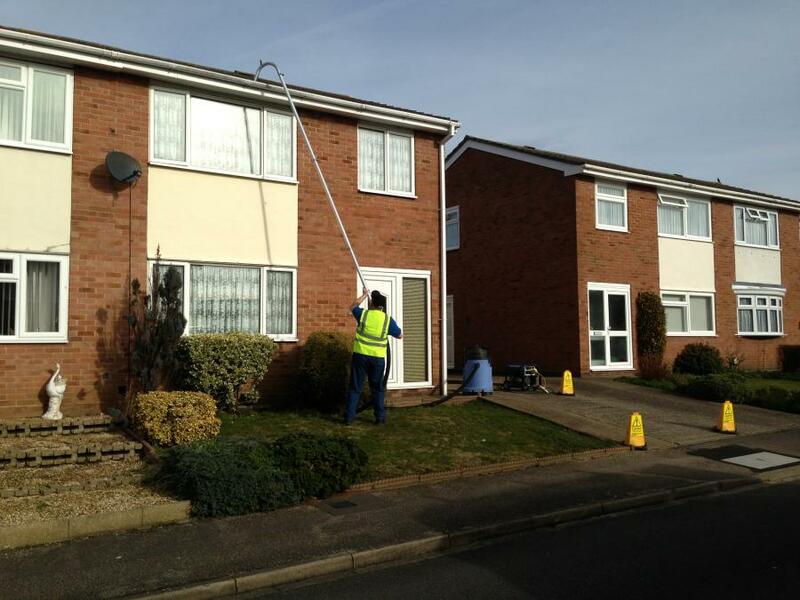 We also offer other services such as; Pressure Washing, Soft washing of render and other hard surfaces. 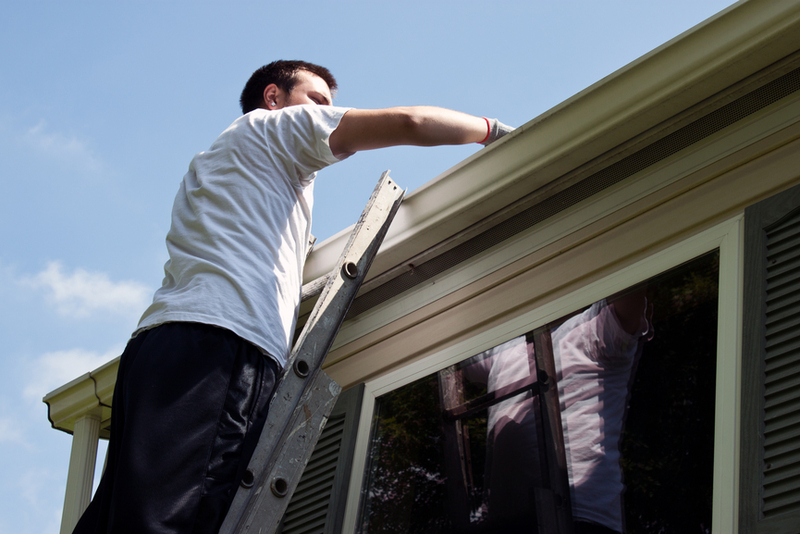 Fascias and soffits can also be replaced along with any gutters, downspouts, unions and brackets that are in a poor or broken condition due to age associated issues. Or perhaps, they would just improve the sale-ability of your property! Or send us an e-mail below.